The first lawsuit of its kind to hold the US government accountable for spying on its own citizens. 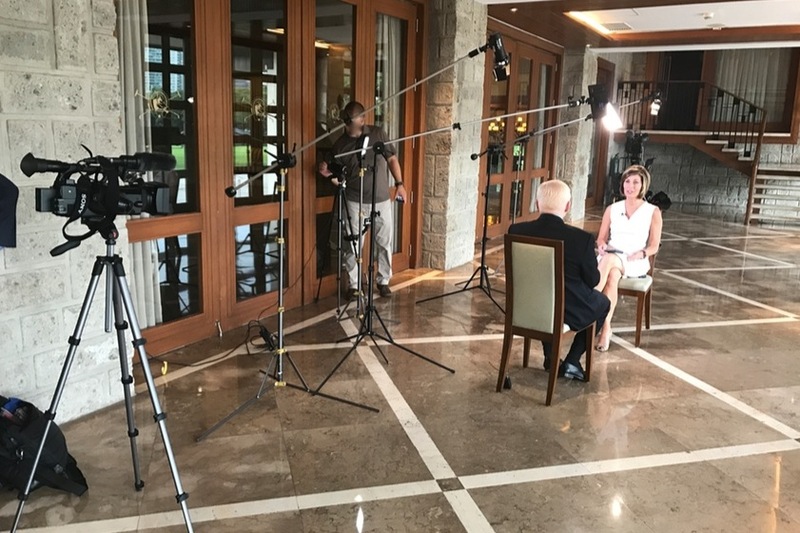 Before we learned how often our own government spies on American citizens, intel sources warned investigative journalist Sharyl Attkisson she was likely a target. Multiple forensics exams revealed the disturbing facts. U.S. intel agency software was found in Sharyl’s computers. Government IP addresses—an undeniable digital fingerprint—remotely accessed Sharyl’s devices. The intruders combed through her files-- including her Emmy award-winning investigation “Fast and Furious”-- accessed her social media, monitored every keystroke, and secretly listened to conversations with whistleblowers. The FBI quietly launched an investigation listing Sharyl as “victim” but, oddly, never contacted her. 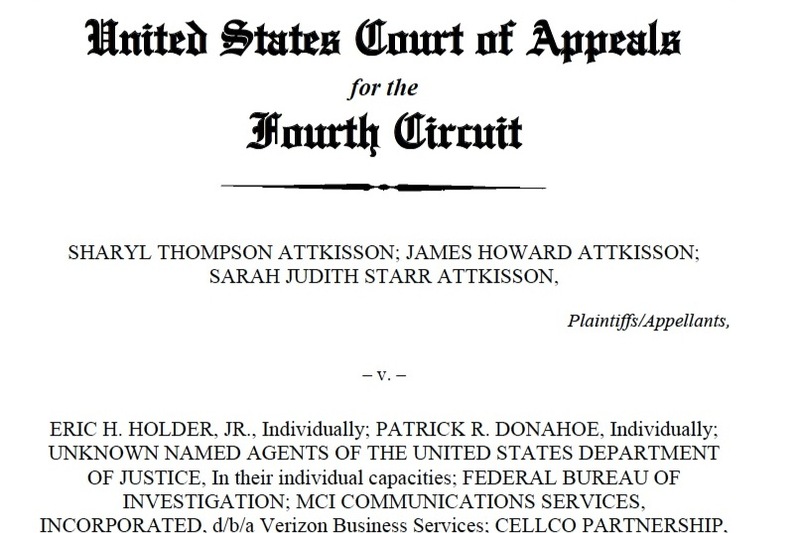 “Attkisson v. The Department of Justice and unnamed FBI agents” is the first case of its kind. The Justice Department is using your unlimited tax money to obstruct, rather than identify the perpetrators. We now know Sharyl is far from alone. The 2016 campaign revealed alleged political weaponization of intel tools apparently used to obscure the bigger picture: shockingly common government spying abuses. How this case ends will answer whether Americans have any way to fight back against massive government overreach. And can criminals be punished… when they work for the government? Read the letter signed by organizers of the Attkisson 4th Amendment Litigation Fund below the following news clip. 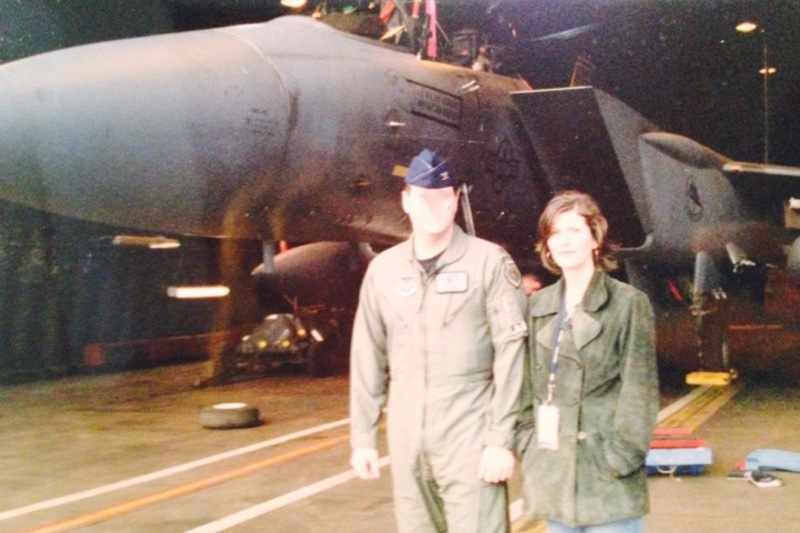 We, the undersigned, ask that you contribute today to this pro bono GoFundMe effort to help five time Emmy Award-winning investigative journalist Sharyl Attkisson finance her landmark lawsuit against the Department of Justice for the spying on her computers after she reported honestly but negatively about the federal government and the past presidential administration. Sharyl, as many of you know, is now the host of the Sunday TV news program “Full Measure." 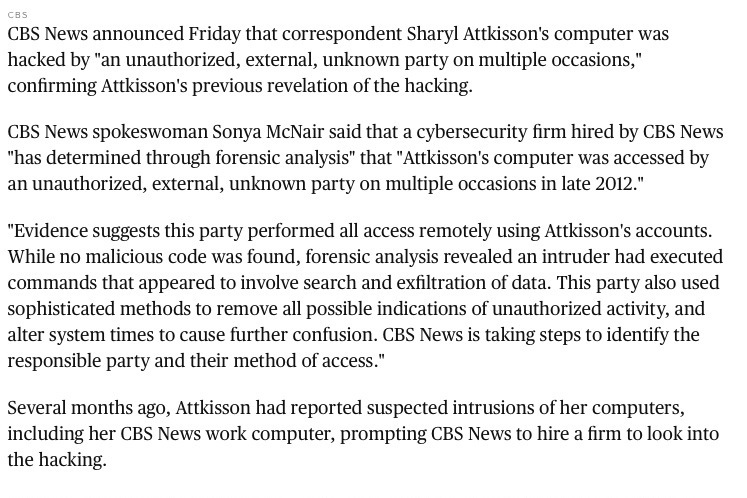 The hacking of her home and work computers occurred when she reported for CBS News. Among other recognition, she received the 2013 Edward R. Murrow Award for investigative reporting and the Emmy Award for Outstanding Investigative Reporting for her stories on the Fast and Furious scandal. To date, five independent forensics exams have uncovered various aspects of the unauthorized remote surveillance of Sharyl's computers. Expert analysts found software used in the remote intrusions is proprietary to a U.S. federal government intelligence agency. Forensic analysis uncovered government Internet Protocol (IP addresses) used in the operation. Additionally, software installed remotely monitored Sharyl's keystrokes and activated her computers’ microphones to listen in on conversations. Analysts tracked the path of exfiltrated data from Sharyl’s home to the FBI center in Quantico, Virginia. Three classified government documents were found planted in Sharyl’s computer, and her social media accounts and phones were also compromised. 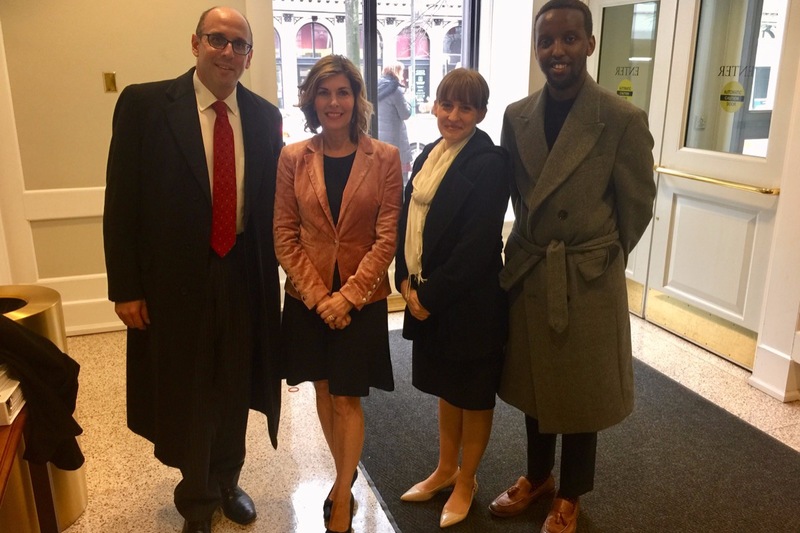 When Sharyl recently spoke at a legal seminar on Fourth Amendment surveillance abuses, some of the attending lawyers were stunned to hear that not a single journalism group or civil liberties organization has stepped up to become involved in the case, or help pay for Sharyl’s legal fees. Sharyl and her family are financing this litigation out of their own pockets, and to see this case to the end could cost upwards of $1,000,000. One reason Sharyl’s case is so important is because there are likely more cases like hers that have gone undiscovered. If these violations go unanswered and unpunished, government attacks on journalists and citizens will be left, unchallenged, to expand. Sharyl’s lawsuit has important Constitutional and freedom implications for every American. She is courageously proceeding -- really on behalf of all Americans. The Department of Justice, first under Obama and now under Trump, has failed to launch appropriate efforts to learn who is responsible for the intrusions and to remedy the violations. Instead, the agency is spending taxpayer funds and public time -- all unlimited, unlike Sharyl’s resources -- fighting her lawsuit and obstructing attempts to discover the facts. This has exacerbated the damage caused by the intrusions in terms of emotional distress, professional distraction and financial cost. Sharyl’s case is perfect for a GoFundMe account, but she felt uncomfortable about setting one up for herself. So we, the undersigned, have stepped in to help her, with all proceeds going directly to Sharyl for her lawsuit. Please donate what you can: $10, $25, $100, $1000, $5000, or whatever your best gift may be. Our goal is $400,000. And please share this on your social media pages, and forward this GoFundMe link to friends. 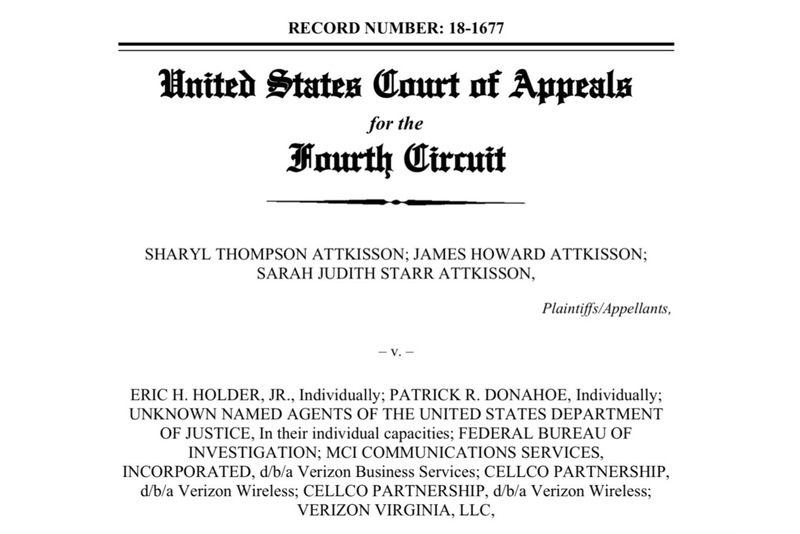 This is an extremely important case about the limits and consequences of government spying on Americans’ personal and work computers, and is being watched by many. It is in the public interest to seek accountability. It is at our own peril that we give up on the old fashioned free press and privacy notions set forth in our Constitution. Lastly, we urge you to contact the U.S. Department of Justice and the Trump administration today through social media or any other means at your disposal and tell them to stop using taxpayer money to fight Sharyl Attkisson -- a highly respected, principled journalist who was spied upon by the U.S. government. Everything you wanted to know about the government computer intrusions (but were afraid to ask...) In response to some requests, I've posted a thorough summary of background and evidence. You can skip to topic of choice such as "evidence" and "false back space key narrative." Thanks to your ongoing support--moral and financial--we will be fighting onward with more details announced soon! Thank you! Click the link for info. A brief video case update and a big thank you! What a milestone! Grateful to all organizers and supporters.